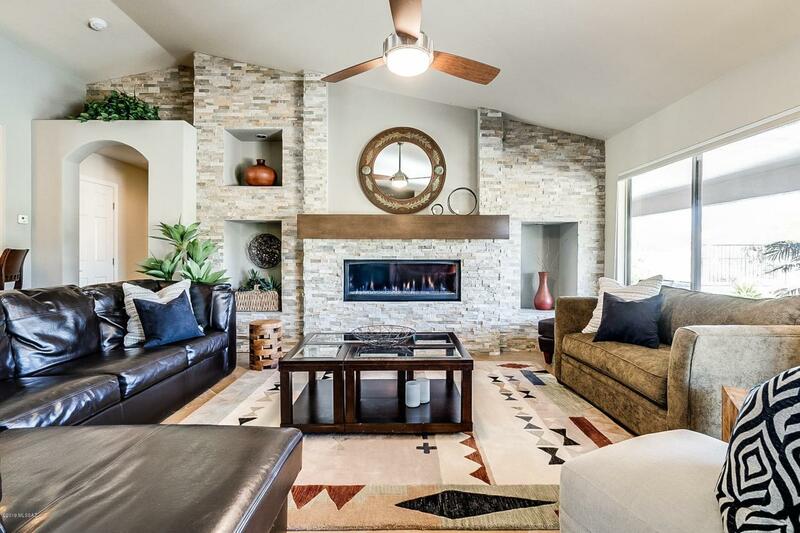 Designer touches throughout this renovated/expanded Laredo model. 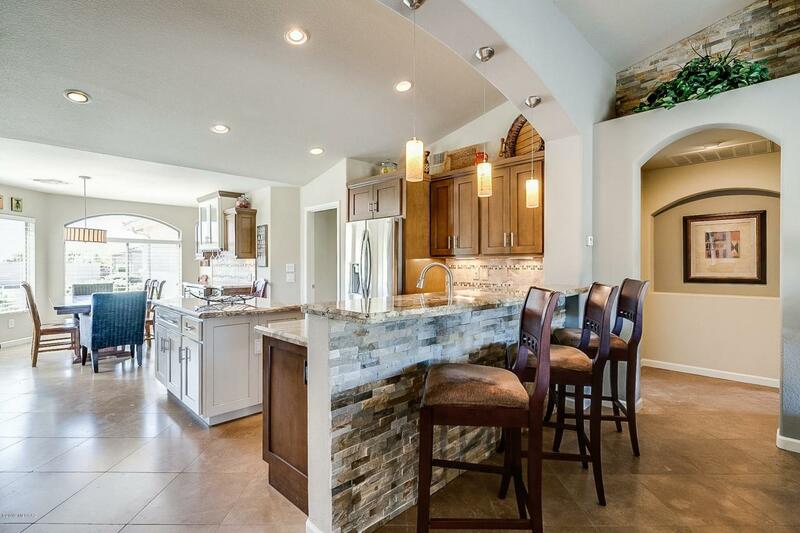 Truly shows like a model home PLUS it can be turnkey! 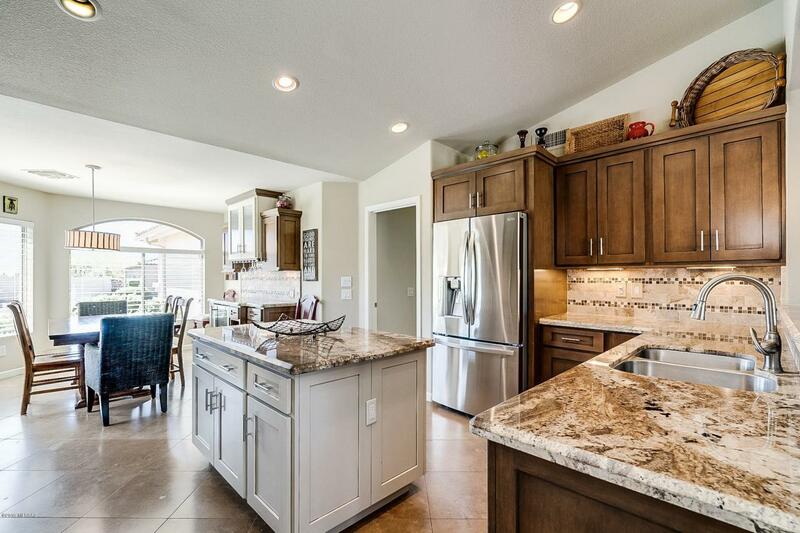 Travertine flooring throughout, stunning stone accents, custom cabinetry, gorgeous granite, high end SS appliances, gas fireplace, upscale fixtures/finishes, contemporary paint and more. Set above the 6th hole of Mountain View Golf Course the private back yard is all about outdoor living. Saltwater pool with waterfall & spa, outdoor kitchen & bar was designed for entertaining. Cozy outdoor living room has TV mounted on stone wall. Walled front patio has lovely Mountain View. 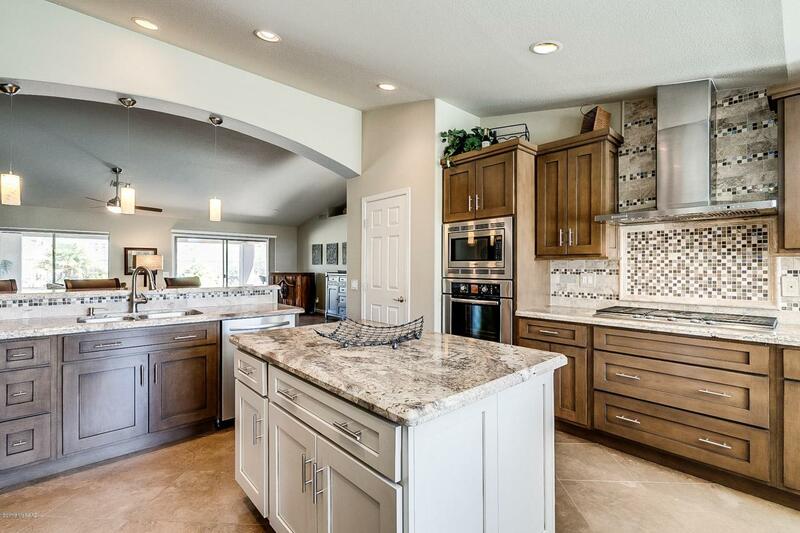 Garage is extended 6' to accommodate 2 cars & 2 golf carts plus lots of storage cabinets. Lightly lived in by snowbird owners. Don't hesitate to make it yours!